Some books should be reread at various stages of your life, not only to view the book differently, but to view the world differently. 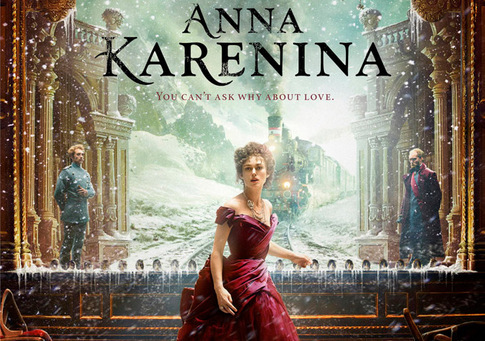 Anna Karenina by Leo Tolstoy is one of those books. As a teen I thought this book wildly romantic. A tragic tale filled with noble nobles; and I didn’t fully understand why the peasants were so upset. In my 20s I thought Anna Karenina was a narcissistic neurotic birdbrain; the nobles pompous gits; and the peasants noble. Now, in my 40s I decided to read this again, so I borrowed the recent Oxford University Press version, an inspiring and edifying translation with notes and a wonderful introduction by Rosamund Bartlett from Netgalley.com for the low price of an honest review. As the pages flew by I realized how differently I now see the novel as well as the complicated navigation of life’s path. The message that finding happiness without causing damage or destruction is so clear, though easier said than done, and for Anna Karenina, apparently impossible. Trapped in a loveless marriage, surrounded by sociopolitical upheaval, and bound by the brutal intolerance and hypocrisy of society, she made poor choices. No idea how I will see this years from now. Rosamund Bartlett’s patient guidance through the troubled waters of Tolstoy’s complicated soul offers generations a chance to experience the passion and progress, still relevant today. Translations of Tolstoy can be thorny, his remarkable ability to link realist and modern writing to emphasize differing attitudes and lifestyles can be difficult to communicate without altering or losing his viewpoint. There have also been many visions of this classic presented on film. The latest adaptation by director Joe Wright, screenplay by Tom Stoppard starring Keira Knightley, Jude Law, and Aaron Taylor-Johnson was a sumptuous delight for the senses, yet in the 1927 silent film, Love starring Greta Garbo and John Gilbert had a consummate romance and depth of despair that spoke volumes. All in all, maybe Anna Karenina should have taken a bus.